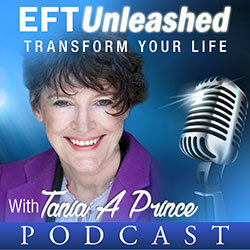 EFT can be a powerful technique. I have seen it create amazing change remarkably quickly. When I first started out I worked with a lady who had a lifelong phobia of spiders. This lady read an article in a newspaper regarding my work with phobias and contacted me. Before she agreed to come to my clinic she made sure that I would not have any spiders present as part of the treatment program. She turned up at the clinic and after taking the time to establish rapport and connect with her and also gather contact details etc, we started the EFT therapy. It was FINISHED WITHIN TWO MINUTES. She knew instantly that her spider phobia was gone because she instantly felt the tightness in her chest ease and her palms stopped sweating. We spent the rest of the session testing our result. I had her imagine every possible scenario including imaging a spider drop down from the ceiling and landing on her. She just calmly said, “I would just pick it out“. An interesting point about this session was that we didn’t tap on “Even though I have this spider phobia……..”. I actually asked the lady “what specifically is it about spider that is a problem for you?” She said it was the “erratic movement“. 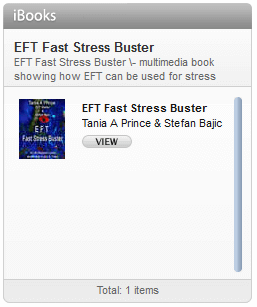 We then used this phrase in the EFT set -up. Another interesting point is that she didn’t just have a spider phobia, she was also frightened of cockroaches and frogs. When we tapped on the “erratic movement” she lost her fear of all of the insects. A few weeks after the session she went abroad to a country where spiders are substantially bigger than in the UK. I called her after she returned home and found out how it had gone. She reported that she had been totally calm and in fact one night they had found a stick insect in the house and rather than kill it, they had decided to cover it until the morning and let it go. Previously she would not have been able to sleep knowing that the insect was in the house. Seems like her issue with spiders had been just the tip if the iceberg. Curious about what else she might have improved as a result of clearing her issue with spiders, I asked her if she had noticed any other improvements in her life. She answered that she was “more calm”driving. Umm, so after clearing her issues with “erratic movement”, suddenly she begins to notice a greater calmness driving? Gets you wondering doesn’t it to how her driving was. 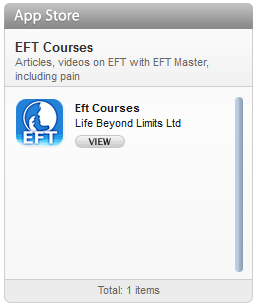 Back to the point of the post, what are the common mistakes that people use when doing EFT? A better way to work, one that is much more likely to get a result is to ask: “What specifically are you depressed about?” and then tap on that. This is actually called, chunking down in NLP.